It has been a nice few weeks and I've been off the radar. I've been on vacation, put my youngest 2 back in school (one is a senior, one a sophomore at University of Utah) and took a few extra days to work on my London 2012 quilt and relax a bit. I'm rusty, I guess, because this blog post just wouldn't come together. My photos wouldn't download and my video wouldn't upload. I didn't even get my pictures organized the way I wanted to for this post but please bear with me. I'll shake off the dust for the next post (I hope). So really, in no particular order, here are a few snaps from my vacation to the Crow Creek Ranch in Star Valley Wyoming. 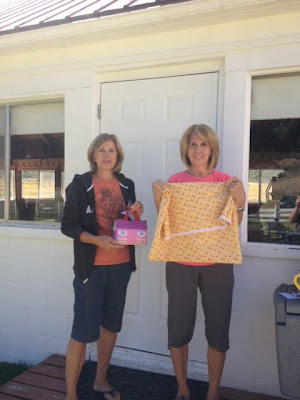 Here are 2 of my sisters showing their projects in nearly finished condition. My sister Michelle's family (on left) own the ranch. Michelle made one of Ever Kelly's Storybook Lane houses. Polly (on right) made pillow cases with cotton trim and was embroidering them per Lori Holt's pattern. My brother-in-law, Brent, was so great to work with Allison and let her ride one of the horses. Allison loved it and wanted to ride all day long. This photo gives you a little view of part of the ranch. The 500 plus acres were notably dry this year compared to last year. But the ranch is so beautiful and we have so much fun there. We had fun playing out at the lake. Here is Jamie, Allison and Shelbie in the peddle boat pushing away from the dock. If we hadn't pulled Allison away kicking and screaming, she'd still be there throwing rocks into the lake and wanting to ride in the boat. We are lucky enough to have one of the homes on the ranch to ourselves and it made it really nice to be with extended family and then at night go to our own cabin and bed together. Laurie, Shadow, Eliza and Allison thought it was so funny to steal "nanny's" bed. Actually Allison slept with me every night. She kicked Dave into a different room. She would say "nanny bed" when it was time for night-night. This is a picture of my newest grand nephew, Luke. He's such a good baby. One of the perks of vactioning with extended family is enjoying sisters, their children and their grandchildren. Luke is posing on the quilt I made for him. Here is the latest photo of Eliza. 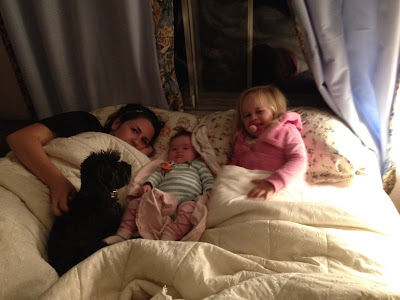 It was really fun to have Allison and Eliza with us on vacation. They were both really good. Little Lizzy is doing so amazingly well. It is such a blessing to see her growing and improving all the time. She's a delight. 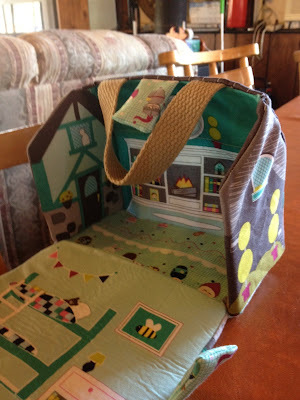 Here is my niece Tricia's Storybook Lane house. Before you jump on this darling project, beware. We found the pattern challenging. But it turned out cute and fun. There were times I thought Michelle and Tricia would give up on their little houses but I was really proud of them for keeping at it. Tricia sent me this photo a few days ago. She finished her little Storybook people. Now I still need to make my set. I want to give it to Allison for Christmas. Whew. This was a tough post. But worth it. So much for my summer vacation. September is here and back to work. Welcome back! What a special time you had. Fun pics!! I'm so happy to see you had a great time. And Eliza's photo...how adorable she is! 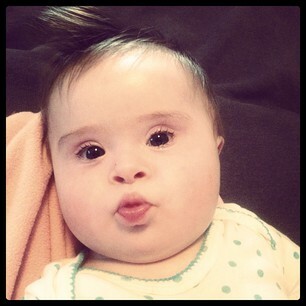 She looks like she is ready to give a big kiss. 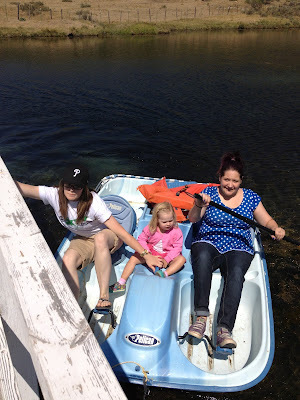 Hi Nanette, I am glad you had a relaxing time with your family! The mountains are stunning! What a beautiful place to rest and enjoy last few days of summer! Allison and Eliza are growing fast and are adorable! Welcome back for sure...and this doesn't seem like a rusty post to me. You have such a wonderful family, and your vacation looks so wonderful. Love those sweet little houses. Think that needs to go on my to do list. Allison and Eliza are both getting so big....such pretty, happy little girls. ((hugs)) to you Nanette. Allison looks like she had such a grand time! How lovely to get to spend quality time together with so much of your family. Little Lizzy is sweet--look at those eyes! Glad you got to spend time with fabric and thread and family. oh the memories...thanks for posting pictures of the ranch! So glad you all had a great time! Glad you had a good holiday the ranch looks amazing. Missed your blog while you were away! Looking forward to seeing your London quilt soon! What a wonderful post, full of babies and family and some sewing too! It made me happy just reading it, you are very blessed. What a sweet post of your family! Little Eliza's lips are so pouty in that photo. Glad you had a nice vacation. Hope to see your London quilt soon! everything looks beautiful...kids, scenery, and little playhouse! Glad to have you back. I hope you are doing the row along w Lori...your projects are eye candy! Looks like a wonderful time was had by all! 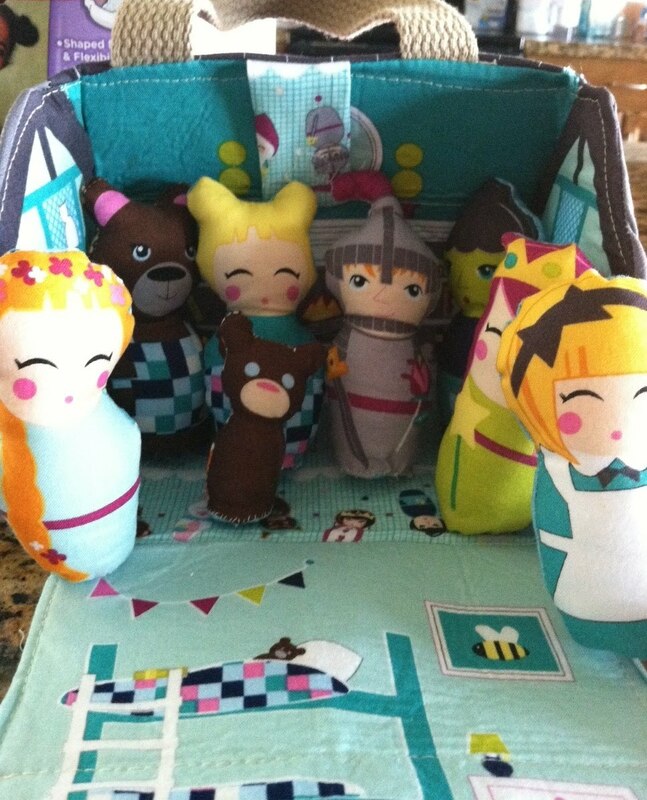 Such sweet projects too!! What fun vacations pics! Loving that quilt of Lukes ... definitely my palette. It looks as though you had a glorious vacation. How wonderful to be surrounded by your family and your grandchildren. Allison seems very adventurous. Eliza's photo is adorable. It looks like your quilt was a hit. The little guy seems to be enjoying it. Thanks for sharing the lovely photos. 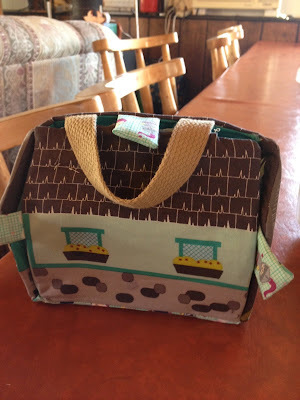 A lovely post, Nanette - nice to see lifestyle and all the littlies! Sounds like a wonderfully relaxing time was had by all! Welcome back! It sure does look like everyone had a wonderful time. It's hard to believe Allison is big enough to be riding a horse all by herself, but there she is! Wow. And Eliza looks so pretty, too.. Glad you had the time away with your family. Missed you! glad you had such a great time. looks like great family time. 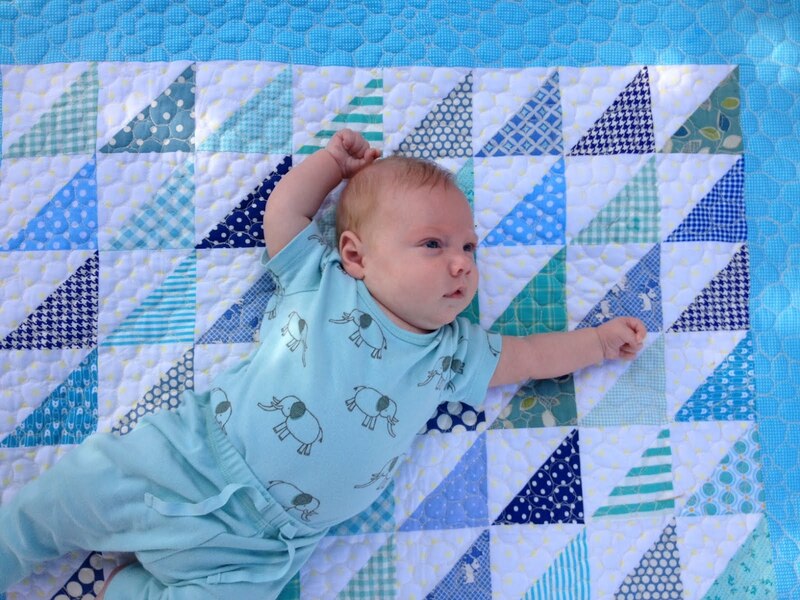 Luke is adorable on his sweet quilt. And look at those lashes on Eliza, both girls are growing so fast. Oh my Oh my...Allison looks soooo little on that big ole horse!!! It's nice to have a little time off at such a beautiful place! Hope you feel refreshed!!! It is definitely hard to get "back in the blogging groove" after vacation days. I think you did a great post. 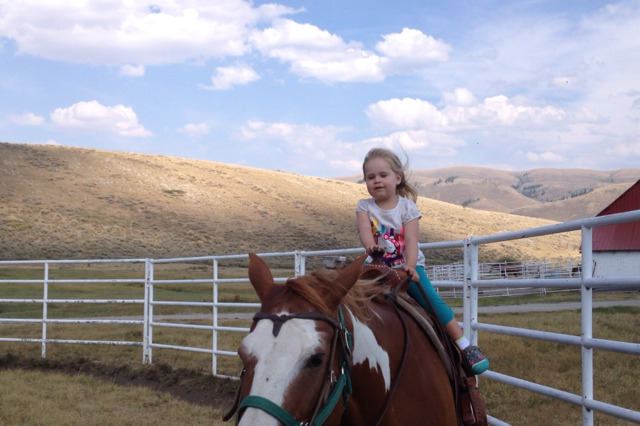 I just can't believe that Allison is growing up so fast and already riding a horse!!! Little Liza is so sweet. 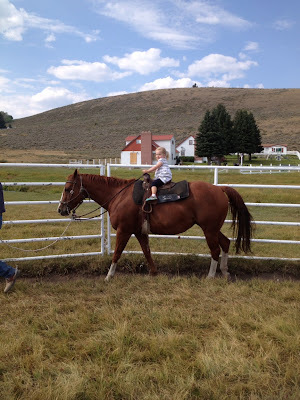 You all are lucky to be able to visit the ranch and enjoy family time together! I'm glad you have such a great time. Looks like a great family time. 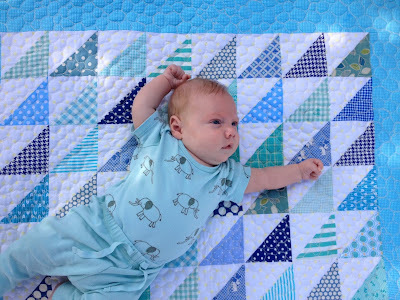 Luke is lovely in his sweet quilt. Look at those eyelash, eliza, two girls are rapid growth.